More than half of the published studies use "homemade probes" or probes that were made by investigators. This was common because initially the commercially available probes were prohibitively expensive and not as robust as they are now. Also, many probes are wasted during the learning period. However, once an investigator has enough experience, probes can be utilized in a very efficient manner, sometimes even the same probe over many experiments. Thus, the probes and supplies are a very small fraction of the total cost of microdialysis setup. 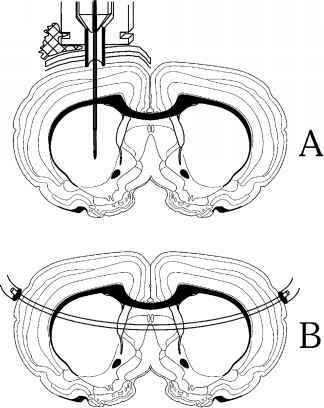 Panels A and B depict coronal brain sections showing the placement of a radial-type microdialysis probe (panel A) or a transcranial-type microdialysis probe (panel B). the popularity of this approach has diminished over time. First, transcranial probes are difficult to put in place and could not be used easily in freely moving animals. Second, recent refinements in analytical techniques allow adequate analysis samples from relatively smaller probes that can be precisely inserted through the dorsal surface of the skull. These probes are most popular now and are called "radial probes" (Figure 11.2A). Both "homemade" and commercially available radial probes employ one of three configurations: "loop-type," "concentric," or "side-by-side" (Figure 11.3). The loop-type probes have the fiber bent in a "V" or a "U" shape and have a wire inside the loop to prevent the fiber from kinking (Figure 11.3). Both concentric and side-by-side probes have a fiber with one end permanently sealed with water-insoluble glue and are quite similar in appearance and functionality. In the concentric probe, one transport tube is arranged inside the lumen of the other, whereas side-by-side probes have the inlet and outlet tubes arranged next to each other (Figure 11.3). 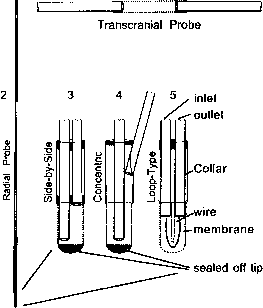 This figure depicts a schematic drawing of a transcranial probe (1) and a radial probe (2). Radial probe dialysis areas and inlet and outlet tubes can be side-by-side (3), concentric (4), or loop-type (5) designs. 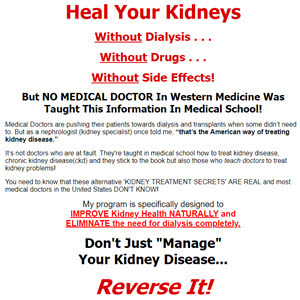 Dashed lines represent the active dialysis area while the support structures are represented by solid lines.